“We deserve more of the best,” might be this couple’s motto. Sun in Sagittarius’ drive to expand will be encouraged by Moon in Leo’s need for top-drawer expressions of romance. Together, these Fire signs will blaze an extravagant trail of fun, indulgence and passionate exuberance. Sun in Sagittarius is always up for exploration, and his ideal partner is someone who’s ready to accompany him. His quest for what lies over the horizon means that he can weave fabulous plans, but sometimes falls short when it comes to realistic follow-up. He does not set out to deceive his lover, but his actions don’t always meet his best intentions. Sun in Sagittarius’ laid-back approach works best with a partner who is there by his side (on his journeys) in order to ground or prompt him as necessary. Having said that, he will always need the freedom to take side trips by himself; clingy lovers bog him down. Moon in Leo needs the Grand Gesture from her partner. She knows she’s special, but she needs her lover to know it, and show it. Depending on her partner’s tolerance for giving gifts, compliments and attention, she can be perceived as self-respecting or high-maintenance. Either way, Moon in Leo is strong and needs to be treated like a queen. When she feels appreciated, her love and fidelity are solid gold. When she feels ignored, she can turn into a drama diva. No matter how appreciated she feels, she’ll always need a touch of high romance in her relationship. Sun in Sag will be enchanted and encouraged by his Leo partner, although her demands may weigh heavily on him at times (especially when he forgets to bring her flowers because he got distracted by some new activity). Moon in Leo will love Sag’s ability to go over the top with everything. She may get impatient when she demands the best of everything and he doesn’t see what the big deal is, but he’ll usually try to make it up to her. 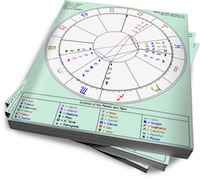 Sun in Sag’s flexibility allows him to bend with Moon in Leo’s fixed demands. And if he wanders too far off course, she’ll be there to reel him in. I know you are probably going to say that I should be more patient but could you do a Aquarius sun Capricorn moon compatibility soon?